Once you start overlaying 2D and 3D objects over reality, things start getting a lot more interesting and flexible. I was shocked when Facebook purchased Oculus Rift for a whopping $2B – after all, people are making a similar product out of cardboard and a smartphone strapped to your face and it seems limited to the ultra geek market. AR, on the other hand, requires not only the same 3D rendering with real-time head tracking but also 3D scanning of the environment around you (Kinect) and taking input from hand gestures. AR also allows you to be more mobile than with VR since you can actually see (some of the) real-world objects. A good comparison should include Google Glass, which missed out on the AR opportunity since the graphics overlay and multimedia capabilities were so limited (screen in the corner of your view and mostly 2D menus) in order to create a unit that could be used anywhere just like a smartphone. But nobody but the geekiest were going to pay $1500 for that. There is a fair bit of irony in that Google shut down Glass sales the very same week as Microsoft HoloLens was demonstrated… If a Glass 2.0 materialises it surely must be a complete AR system like the Microsoft HoloLens. We also have to mention Apple in this mix, which has shown no ability to deliver new form factors since Jobs except the Watch – which is a step in the completely wrong direction, with a screen so small they had to invent several techniques to make it sortof usable. And even that they are several years behind competitors in delivering. The Apple fanboiz are now busy ranting about how there are already AR apps for iOS that use the camera to mix real world with 3D graphics. But that doesn’t even begin to tap the potential of AR like the HoloLens is trying to do. The screen needs to be whereever you look, and your arms must be free to gesticulate, and there must be stereoscopic vision. IOS offer none of that and the 3D scene analysis that can be done with a camera is nothing compared to depth measurement using lasers/IR/ultrasound or at least stereoscopic cameras. As far as the Microsoft HoloLens, this is not holography at all, so the name is actually confusing. It looks to me that they are using the HUD (Head Up Display) method which involves two nanoprojectors located at each side of your head and having the (semi) transparent visor reflect those images to your eyes. If this is the case, it will be very light and comfortable to wear (unlike the VR goggles which are more like diving goggles with actual screens adding to the weight at the wrong place). Another important differentiator is that Microsoft HoloLens is self-contained with the CPU/GPU/HPU unit integrated, thus untethered. It is not designed for running around like a “glasshole” but still allows at least indoor freedom of motion, unlike the Rift. And unlike the Oculus Rift, you won’t get motion sickness since you can still see the real world (akin to reading a book while riding a vehicle vs looking out the window). 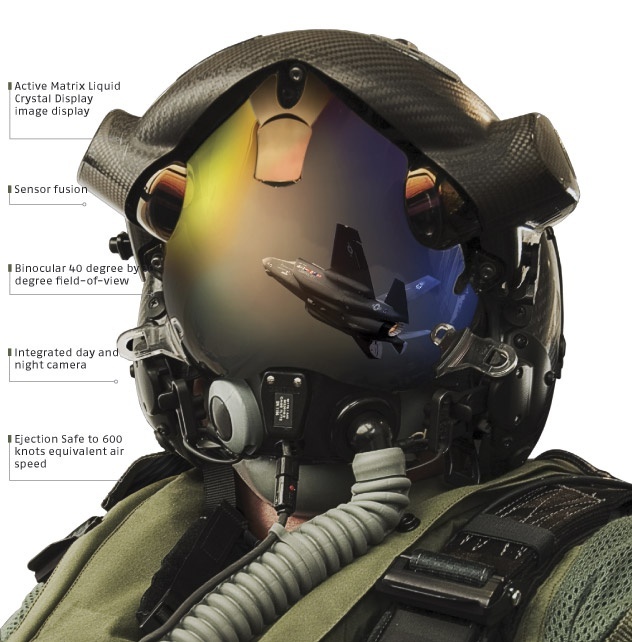 As we know, fighter pilots have been using HUDs for decades now and if you can go at MACH-3 with AR then I think people will be OK in their office or home too. It will be interesting to see how Microsoft solve things like heat dissipation and battery longevity, but it is really irrelevant for the 1.0 product since this is simply going to be a new product category alongside laptops, pads and phones. Microsoft wants to push Windows 10 as the platform for Augmented Reality, which means there are no performance barriers software-wise and every games developer (hell, any developer) will quickly be up to speed. Microsoft decided to show the HoloLens quite early in the product cycle and there are no price or date indications. That does not mean it is vaporware. I have been interested in Augmented Reality since about 2000, and it is really time that one of the IT giants got on the bandwagon. Augmented Reality has been possible for a decade and a half (with the usual caveats for cost, performance and weight). Companies such as ODG – Home have been working on AR a lot longer than Microsoft, until now in the military/industrial/medical space. They just launched their first consumer glasses at CES 2015, they run Android and have a SnapDragon CPU. The one thing that seems missing is the depth mapping which means that the graphics are more like a screen overlay, not integrated with reality like the HoloLens. The way I see it, Augmented Reality is a superset of Virtual Reality. This will make both Facebook, Google and Apple bite their lip and surely all of them will have to concede that the Augmented Reality cat is finally out of the bag and it looks so cool.